I'm a firm believer of the fact that people who say they 'hate reading' just haven't found the right books yet. 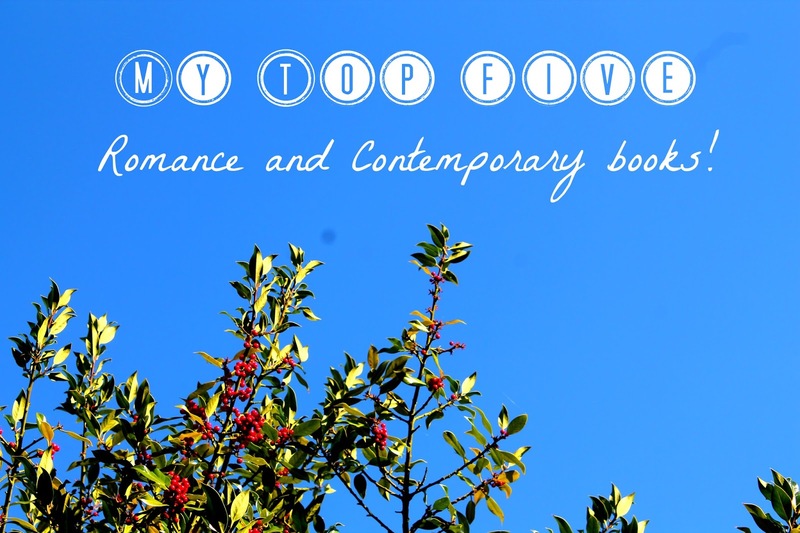 So today I'm going to go through some of my favourite contemporaries and hope that some of them appeal to you. I love these sort of books for when I'm in a bit of a reading slump - usually after finishing a very heavy trilogy of some sort. But none the less, these are some of my absolute favourite books of all time! So without further ado, lets get into it! I first read these back in July whilst on holiday and fell in love. Seriously they're so perfect and cutesy an literally made me crave a perfect relationship. The characters are all so loveable and most importantly - they're hilarious! These books are so, so, so, funny! They can either be read as individual novels or as a series however each book follows a different character though sometimes they interweave a little. The correct reading order would be: Anna, then Lola, then Isla. Though I read Lola first and it didn't affect it at all. Would highly recommend all three of these books though I think my favourite was possibly Lola just because I adored her quirky lifestyle (not to mention Cricket Bell was bae). 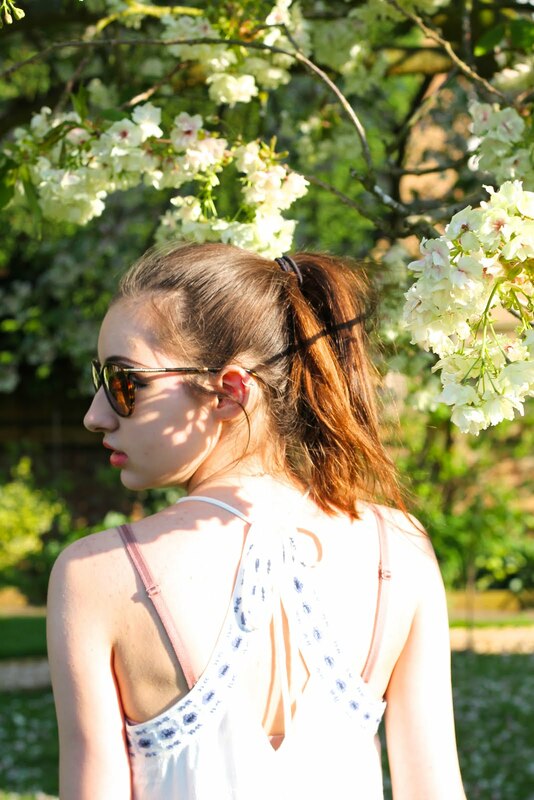 I'll leave the blurbs below so you can have a gander! Anna is less than thrilled to be shipped off to boarding school in Paris, leaving a fledgling romance behind - until she meets Etienne St Clair. Smart, charming, beautiful, Etienne has it all... including a girlfriend. But in the City of Light, wishes have a way of coming true. Will a year of romantic near-misses end with a longed-for French kiss? Budding designer Lola has an outrageous sense of style, a hot rocker boyfriend and big plans for the future. Everything is perfect - until Cricket Bell returns to the neighbourhood. When he steps back into her world, Lola must reconcile a lifetime of feelings for the boy next door. And perhaps discover that true love can be closer than you think. From glittering Manhattan to moonlit Paris, falling in love is easy for hopeless dreamer Isla and introspective artist Josh. Until they are forced to confront the heartbreaking reality that happily-ever-afters aren't always forever. 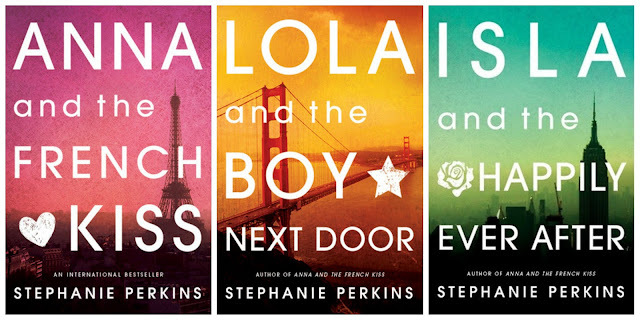 Revisiting beloved couples Anna and Etienne and Lola and Cricket, this sweeping finale will charm fans old and new. Okay so the next book is another one I read this summer. 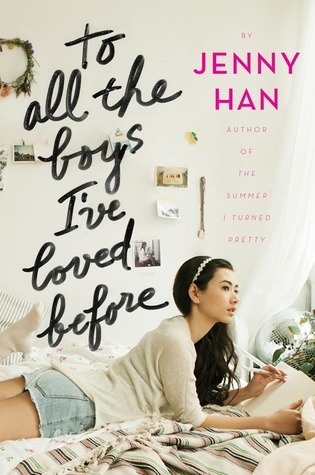 To All The Boys I've Loved before is a heartwarming story about a teenage girl who, every time she has a crush on a boy will write them a love letter. She's been doing it since she was five years old but has never sent out the letters. However one day someone sends them out for her - so as you can imagine all these boys are suddenly getting love letters off her! Again this is a really funny book, it's a duology along with the sequel PS I still Love You. I love this one so much I think I might read it again soon! Lara Jean keeps her love letters in a hatbox her mother gave her. One for every boy she's ever loved. 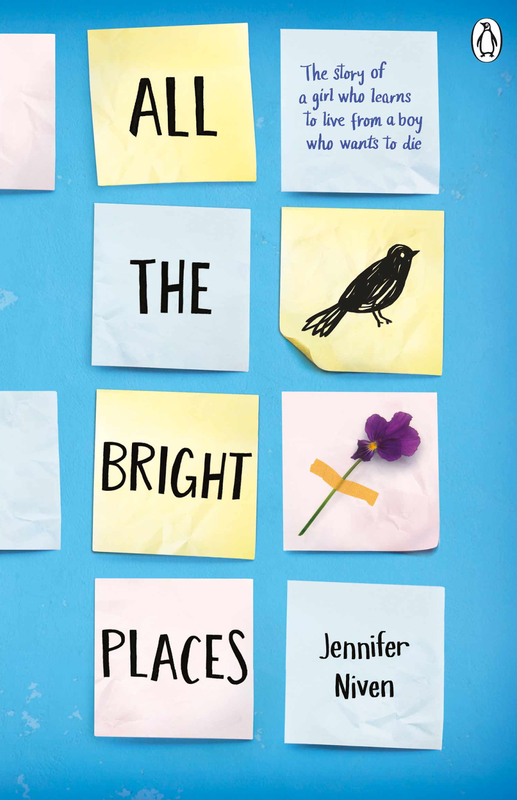 When she writes, she can pour out her heart and soul and say all the things she would never say in real life, because her letters are for her eyes only.Until the day her secret letters are mailed, and suddenly Lara Jean's love life goes from imaginary to out of control. Ahhh Rainbow Rowell... I can't even begin to explain how much I love and adore her writing. She writes romance in a way that really touches you, leaving you thinking of the story for days after you've finished it. My first Rainbow book was Eleanor and Park which I read about two or three years ago. I think I'm going to reread this one soon because I don't remember a huge amount about it except that it was so cute and I loved it. This one was definitely less funny than Fangirl but a lovely romance none the less! Slowly, steadily, through late-night conversations and an ever-growing stack of mix tapes, Eleanor and Park fall in love. They fall in love the way you do the first time, when you're 16, and you have nothing and everything to lose. Set over the course of one school year in 1986, Eleanor & Park is funny, sad, shocking and true - an exquisite nostalgia trip for anyone who has never forgotten their first love. 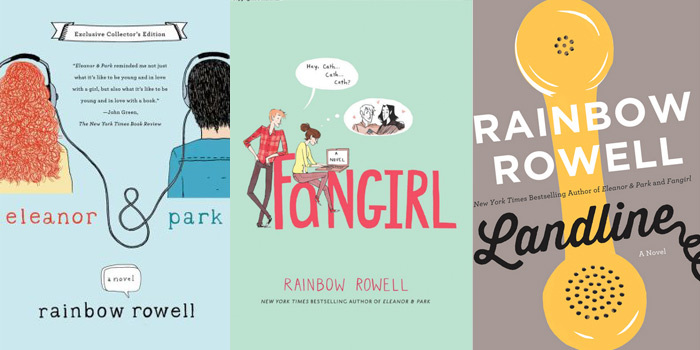 Now Fangirl is a more recent read of mine and one that I found impossibly charming and very relatable. It's about a girl called Cath who's one half of a twin. Whilst she is quiet and nervous and would prefer to stay inside writing fanfiction her sister is a wild party girl. As they both start college Cath feels more alone than ever, trying to fit into a world of partying and drinking without the help of her sister. I think this books is perfect for anyone who's ever felt like they don't quite fit in. Holy guacamole. I've just finished this one for the first time and have gone straight back around to reading it again. Seriously. All. The Feels. I'm probably going to do a separate review for this one as I just can't stop gushing because it was that good! The story is told across the space of just over a year from when the boys are 15 through to almost seventeen. Character wise I loved Dante (I just wanted to hug him so much) and I did like Ari though I have to say he did get on my nerves a bit. 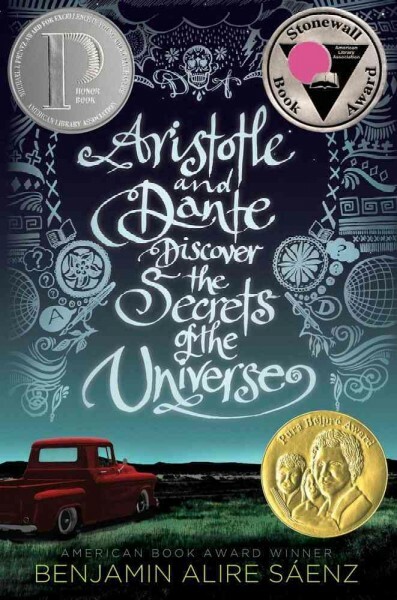 Especially after the accident (sorry spoiler) Dante was just trying to be a good friend and Ari was so surly and bitter. As for the love part, I definitely wanted to bang their heads together and yell KISS but you know... Seriously would recommend I'm obsessed. Another one I read recently. This little gem was told in dual POV from a girl whose sister has just died and is counting down the days until she can leave high school and a boy who suffers from extreme depression and suicidal thoughts. There's not much I can say without spoiling you guys, but again this is one I think I'll be reviewing. It was funny in places, sad in others but mostly it really opens your eyes to facts about teen suicide. I would highly recommend this for anyone. It may sound a morbid and depressing book but it's told in a way that doesn't make you feel that way at all. Five stars, loved it! Also just found out this is being made into a movie AND I CANNOT WAIT!! When Finch and Violet meet on the ledge of the bell tower at school, it's unclear who saves whom. And when they pair up on a project to discover the 'natural wonders' of their state, both Finch and Violet make more important discoveries: It's only with Violet that Finch can be himself - a weird, funny, live-out-loud guy who's not such a freak after all. And it's only with Finch that Violet can forget to count away the days and start living them. But as Violet's world grows, Finch's begins to shrink. How far will Violet go to save the boy she has come to love? Thanks for readings guys, hope you've found something that appeals to you! Please leave me book recommendation because I love reading so much! Great! Can't wait to read some of these books. I needed another romance book. They are my favorite! I've needed a new book to read for a while so I might check out some of the ones you've suggested as they all sound great! I cannot wait to cozy up with some tea & read some of these. I love your blog, by the way! 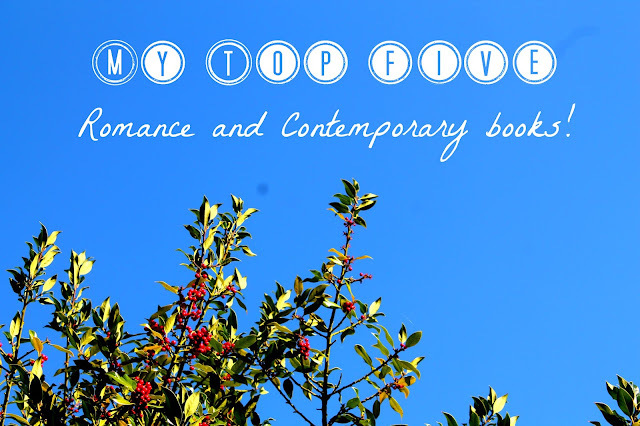 I stumbled upon it while I was working on my Liebster Award post, so I've nominated you! Here's the link to my post where you can read more about the award and why it's important for smaller blogs!